Protein crystals can be quickly located & identified by UV microscopy. Proteins are essential parts of living beings and participate in almost every cellular process. They consist of linear chains of amino acids bound to one another. There are 22 standard or proteinogenic amino acids and a host of others. The protein is defined by its primary, secondary and tertiary structures. The primary structure is the sequence of amino acids. The secondary structures are stabilized repeating local structures, such as alpha helices and beta sheets. Finally, the tertiary structure is the three dimensional structure of the protein as a whole. Protein crystals are grown for a number of different reasons. Protein crystallization is used for drug design and for bioseparation. One of the most important facets is to grow protein crystals so that their tertiary structures canbe studied by x-ray diffraction. Protein crystallization is a challenging process due to the delicacy of the protein crystal. It is most commonly done by a vapor diffusion method. 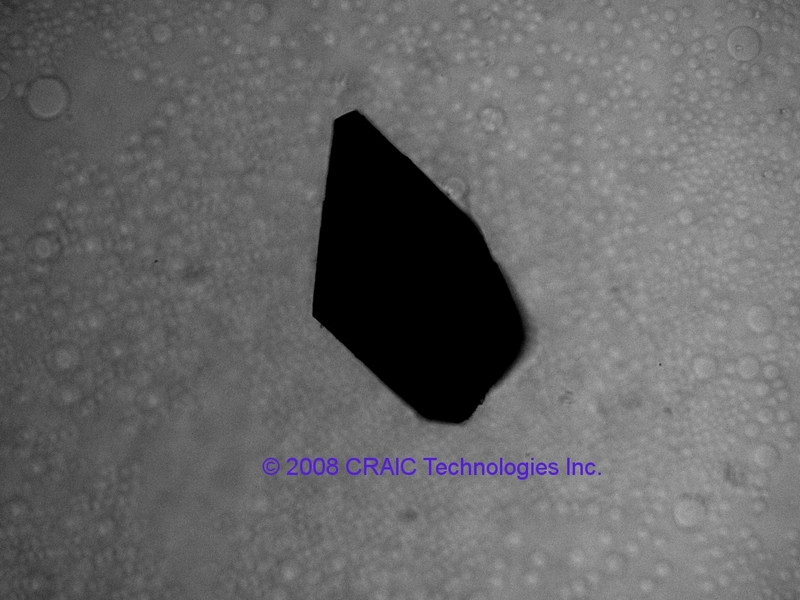 Crystals are induced to form from a droplet of a protein-saline solution. Water vaporizes from the drop into a reservoir until the concentration of the protein in the drop is high enough for crystallization. Under the correct conditions, a crystal can then be grown. Of course, one disadvantage of this technique is that salt crystals can also be grown with the protein crystals. Besides being very fragile in nature, differentiating protein crystals from the salt crystals that form with them is quite challenging. To the naked eye or under a common microscope, both appear identical in most cases. However, there are two optical methods that can be used to differentiate them. 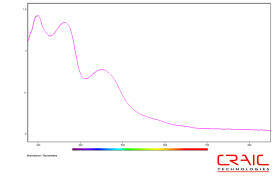 UV Absorption of Proteins: The fastest and safest method is to separate protein crystals from salt crystals by using a UV microscope or microspectrophotometer. The protein absorbs light at 280 nm. The salt crystal does not. The image and the spectra of the protein crystal are dramatically different from a salt crystal. Intrinsic Protein Fluorescence: If the protein contains tryptophan, the crystal can be induced to fluoresce albeit weakly while the salt crystal cannot. This a slower method, however, imaging and spectroscopy can then be used to successfully separate the protein from the salt crystals.